The Academy Awards® is the biggest event in the film industry and on the Oscars Night, guests are invited to party on Summit County’s version of the red carpet while supporting the Breck Film Fest and experiencing Hollywood’s most important ceremony honoring last year’s best films live on the movie screen at the Speakeasy Theater in Breckenridge. 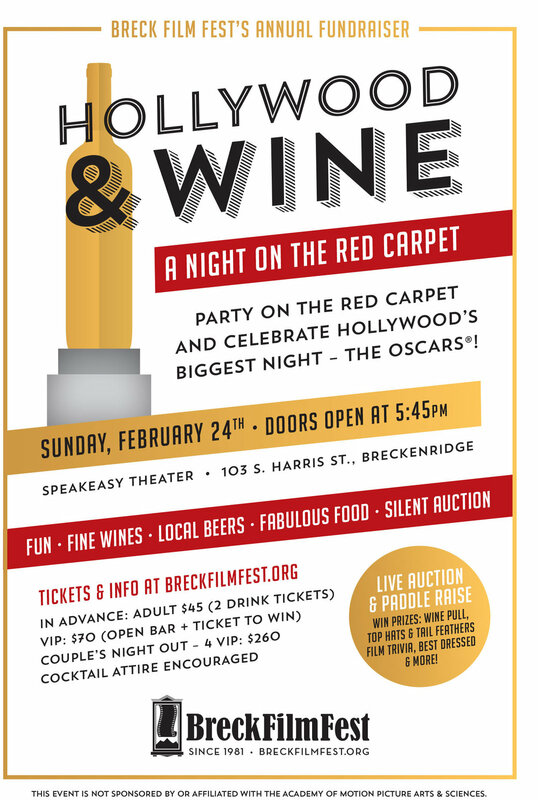 In addition to viewing the Oscars on the big screen with fine beverages and fabulous food, the fifth annual edition of Breck Film Fest’s Hollywood & Wine fundraiser features an expanded lineup including festivities such as a paddle raise, film trivia games, best dressed contests, a silent auction, and fun opportunities to win prizes. 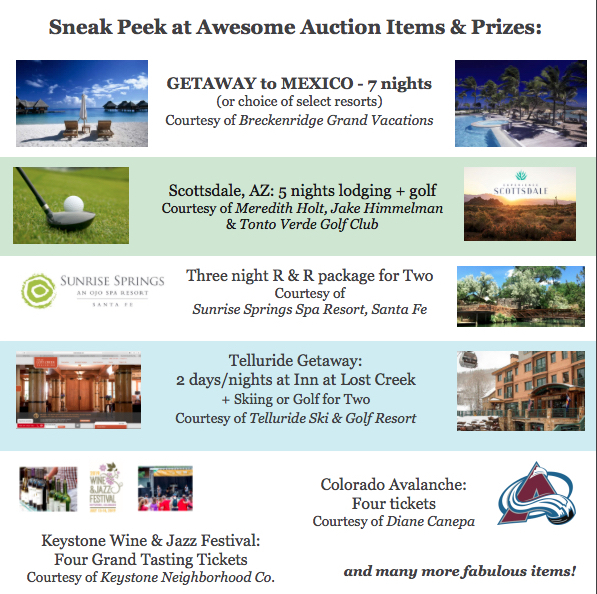 The evening also includes a live auction featuring a handful of unique products and experiences. Doors will open at 5:45 p.m. and the evening will finish when the Best Picture is announced. Founded in 1981, the Breckenridge Film Festival has grown significantly in recent years. This annual fundraiser supports the annual festival, September 19 – 22, 2019, and most notably the free educational components including the Children’s programming, Teen workshops and Adult forums, as well as funding for year-round film programs through the Summit Film Society. If you are going to be out of town, working or simply prefer to watch the Academy Awards in your PJs, we’ve got a Phantom Ticket option for you! This option allows you to support independent film from out of town or the comfort of your own home. Suggested donation: $100. This event is not sponsored by or affiliated with the Academy of Motion Picture Arts & Sciences.